What's Special about HEAROS Ear Plugs? 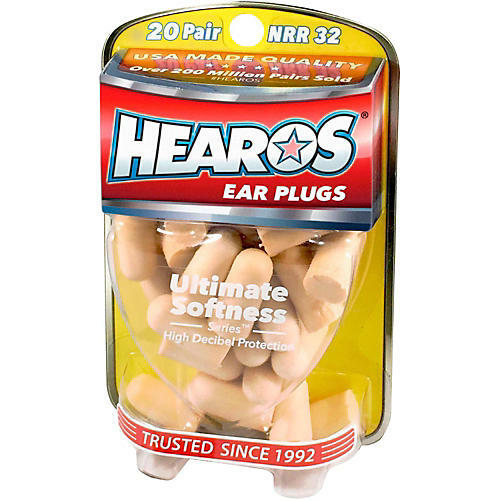 The Hearos Bulk Pack offers the best value on super soft neutral colored foam earplugs. You get 20 pairs of Hearos (40 ear plugs) with a Noise Reduction Rating (NRR) of 32dB. Hearos earplugs are perfect for studying, sleeping, concerts, travel or a day at the racetrack. 20-pair pack. Order now and save your hearing while saving some serious bucks!